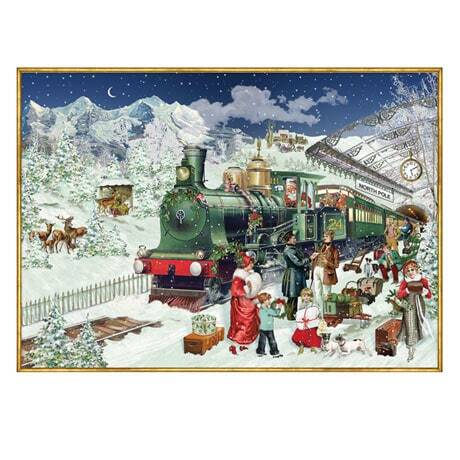 A Victorian-era train—decked out in holly and ribbons and guided by jolly old St. Nicholas himself— steams cheerfully into the North Pole station, where passengers excitedly gather luggage and Christmas gifts by the light of the crescent moon. A snowy mountainside dotted with deer and crowned with stars forms the backdrop of The Christmas Express by illustrator Barbara Behr, now transformed into a 1,000-piece puzzle that's perfect for holiday gatherings. Measures 27"x19" when completed.